With all the issues surrounding mental health, perhaps none has a bigger impact than parity. But parity also happens to be one of the hardest to understand and hardest to implement. In this episode, we will look at the legislative history of parity, current problems with enforcement, and a new ruling that impacts parity across the country. Insurance parity for behavioral health coverage makes providing behavioral health services possible and it is impossible to improve access without it. “President George W. Bush signed a law requiring any insurance policy that included mental health treatment to be equal in coverage to medical treatment, in an effort to stop the long-standing practice of charging higher co-pays for mental health care, limiting treatment or denying it outright. It was cheered as a triumph for the nation’s millions with mental illness. The measure was further strengthened in 2010 with the passage of the Affordable Care Act, which extended federal parity requirements to individual and small-group plans and mandated mental health and substance abuse be covered in any plan sold on the federal marketplace or state exchanges. “Texas ranks 47th out of 50 states and the District of Columbia in access to mental health care, and 50th in the number of mental health providers with only one for every 1,757 in the state, according to a study by Mental Health America. By contrast, Massachusetts, which ranks first, has one provider for every 248 people. “They flat out tell me, ‘We don’t take insurance anymore because we have too much trouble getting paid,’ ” says Carrie Stowell, a single mother whose 16-year-old daughter has been diagnosed with bipolar disorder, attention deficit hyperactivity disorder and anxiety. She lives in Conroe and found 10 doctors in a 40-mile radius who treat adolescents, but only one is taking new patients or is in her plan. The wait for an appointment is six months. Because of poor parity enforcement, Texas finds itself in a situation where access to care is being limited not only to the number of providers but the number of providers that take insurance. Having a “cash only” payment model for behavioral health is a dangerous trend for Texas and can be one of the most limiting factors in the provision of care. Texas has too many people needing services to be a “seller’s market.” It is time to make some changes. Kelly: I’m here today with Congressman Kennedy. Congressman, thank you so much for joining us. In December you filed your Behavioral Health Coverage and Transparency Act and, unlike in Texas where we face large problems due to our large uninsured population, this act primarily goes after folks with insurance looking to access services. What particular aspect really raised this on your radar screen? And some folks are bad people and you lock them up for a long time. For others suffering from mental illness or substance abuse, the way you can do that is to treat the underlying condition. It doesn’t matter if you lock them up for three months if they are not able to get treatment for their mental illness or get clean off of a heroin addiction. So use the tools that you have in your tool kit to help address the underlying concern. As a prosecutor, there are some tools we got; there’s a lot that we don’t and from my perspective trying a bunch of drug cases and working with a lot of drug cases, I became convinced that the way to ensure that those files that were people’s lives on my desk, the way to actually address them much further upstream is to focus on prevention and treatment rather than on prosecution. The question then becomes how do we make sure there is access to mental health care throughout our society? And as we start peeling back the layers on this, from my perspective on it, there are two main segments. There is the public side of things where folks get their healthcare from the federal government, Medicaid primarily. Medicaid is, of course, the largest payer of mental health care services in the country. Then there is, of course, the private side doing private insurance. We’ve started by looking at the private side marketplace. What this bill’s focus is to say, look, the combination of mental health parity, which is a simple law that has helped expand coverage, but it’s the combination of mental health parity and the Affordable Care Act that actually said as an essential health benefit in order to participate in these exchanges, you have to actually cover mental health care. So we have the combination of the Mental Health Parity Act, which says we have to treat mental health care like we do physical health care, and then the Affordable Care Act, which says you have to now cover mental health care. That leads to a huge expansion in coverage for states, particularly those who took the Medicaid expansion, which not all states did. The problem with this is that you can’t just create more doctors overnight. So there are systemic issues that are affecting our ability in this country to have patients that are suffering from mental illness to actually access mental health they need. One other step for you: according to one study I saw recently 55% of the counties across our country do not have a single practicing psychiatrist, psychologist or social worker, 55% of the counties across our country! So when we start talking about trying to get access to care, insurance is an important part to this, but we have to make sure you can actually get a doctor and stay treated. So the bill that we filed is a first step in trying to basically force insurance companies to divulge information around how they are actually covering mental health care. As you know, there are many people that are suffering from mental illness who get their insurance claims denied at a much higher rate than those suffering from typical, physical maladies such as a broken leg or a broken arm. So this bill will hopefully shine a light on some of those practices and force insurance companies to actually make this transition to focus on prevention and treatment, rather than triage at the back end of mental health. Kelly: And you mention that this bill, it doesn’t put forth any new regulations as much as it focuses on transparency the for given laws that you mentioned with parity and the ACA. Kennedy: Absolutely. Part of the way we crafted this is to say, look we are not trying to add any additional burden to these insurance companies, but disclose the methodology at which you end up making your decisions and make sure that information is available and digestible to regulators so we can actually start to shine a light on this and ask are things actually going as they should – which case there might be something else that needs to be done – or are they not? And the idea behind this bill is that if insurance companies can essentially get away with not covering people at the back end when they are in need of mental health care, then there is essentially no reason for them to make the investment they need to actually force the focus of treatment to move up that scale to prevention and treatment rather than just focusing on the back end for folks that end up in a crisis point. So what we want to do is try to take a step back and say how are we going to address access to mental health care in the system? It needs a full-on continuum of care adjustment. We need the private sector to play a role in that and I think a critical piece to it is by getting insurance companies to not just focus on the back end, the really expensive cases of triage after you’re becoming the victim of mental illness, but to focus on treatment and prevention on the front end. How do we flesh that out? We make sure that you are actually abiding by the terms of the regulation that are already in place. Kelly: When you talk about the regulations that are already in place, one of the things that make mental health and behavioral health a very bipartisan issue is that people in a very partisan health care landscape, have been really willing to come together. You’ve seen bills move both in the House and the Senate. Do you see your bill possibly being able to hitch onto one of these bills that seem to be making some headway down the track? Kennedy: Absolutely hope so. This is something that I think Democrats and Republicans agree on, that our mental health system is in crisis. Whether it was folks in Congress that have had similar experiences to me as prosecutors saying this is a real problem, whether you see it in emergency rooms because you have some doctors in Congress, or you are a member in Congress involved in trying to help our access to health care period. And if you go around even hospitals in Massachusetts it’s one of the things you will hear about in emergency departments is there are a lot of people in their EDs suffering from mental illness. So we hear about this all the time; the question is how do we go about addressing it, again in that full-on continuum of care model? I hope that this legislation will address this, either as a standalone or perhaps as an amendment to one of those other pieces of legislation that we have been working hard on. We have been working with some of our colleagues on it and they have been doing a really good job. There is also a really tricky issue on how to make these reforms across the entire system and some of my colleagues and I are trying to dive into this so hopefully we will get there. Kelly: Well, thank you, Congressman so much for your time today and for your work on this really important issue that I hope gets the traction that it needs. Like you said, this is a critical first step to ensuring that those with private coverage get the help that they need. Kennedy. Thank you for your time too, Bill. As the Congressman mentioned, the largest payer of behavioral health services in the country is Medicaid. And a recent announcement by the Department of Health and Human Services is good news for increasing access. ” . . . the Centers for Medicare & Medicaid Services (CMS) today finalized a rule to strengthen access to mental health and substance use services for people with Medicaid or Children’s Health Insurance Program (CHIP) coverage, aligning with protections already required of private health plans. The Mental Health Parity and Addiction Equity Act of 2008 generally requires that health insurance plans treat mental health and substance use disorder benefits on equal footing as medical and surgical benefits. “The Affordable Care Act provided one of the largest expansions of mental health and substance use disorder coverage in a generation,” HHS Secretary Sylvia M. Burwell said. “Today’s rule eliminates a barrier to coverage for the millions of Americans who for too long faced a system that treated behavioral health as an unequal priority. It represents a critical step in our effort to ensure that everyone has access to the care they need. The protections set forth in this final rule will benefit the over 23 million people enrolled in Medicaid managed care organizations (MCOs), Medicaid alternative benefit plans (ABPs), and CHIP. Overall, our goal at MHA of Greater Houston has been to make the provision of behavioral healthcare a successful business model. After all, if people want to access services, there needs to be providers available to treat them. Parity can help provide the basic regulatory functions under which providers can be paid in a timely manner for their services. And it is already the law . . .
Parity will continue to be a big issue at the state and national level. We look forward to continuing to work with our elected leaders in Austin and Washington to make sure parity coverage is enforced. Without this level playing field, progress in mental health care access continues to be an uphill battle. This has been Minding Houston, I’m Bill Kelly. Minding Houston XV: Workforce Shortage? We have an app for that! Welcome to the first Episode of Minding Houston for 2016. While it has been a while since we last spoke, we’ve been holding off as this episode isn’t just about policy discussions, it’s about results. And we need your help to get the word out about a program critical to the future workforce of Texas. Astute listeners to this blog know that we have talked a lot about the mental health workforce being a big obstacle to access. In fact, we devoted a whole episode to it last February (See: Minding Houston IV), and almost a year to the day later, we are happy to announce the state of Texas is taking applications. Senate Bill 239 by Senator Charles Schwertner creates the Mental Health Loan Repayment Assistance Program and is funded with almost $3 million. Details of the plan are shared below. 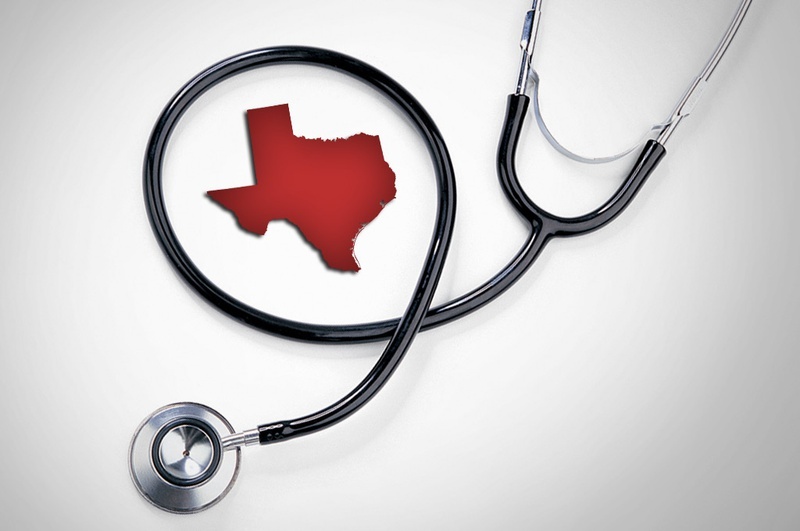 The most encouraging aspect of the legislation (now law) is the recognition that it isn’t not just a lack of medical physicians, but the full spectrum of mental health providers are sorely needed to treat Texans. Bill Kelly: Here with Stacy Wilson of the Texas Hospital Association. Thank you so much for joining me today. Stacy Wilson: It’s a pleasure. Kelly: We are talking about SB 239 and the specific loan repayment mental health professions bill. Who should really be looking at taking advantage of these monies. Wilson: There are five groups of mental health professionals that are targeted under the bill: psychiatrists, psychologists, APRNs who have specialized training in mental health, licensed professional counselors, licensed clinical social workers. Kelly: And I know we are big fans of the inclusion of social workers, especially in Houston, on it. When we talk about the monies that are available – and I know there is some restriction on exactly how many of each group can be included on that – what do people need to watch out for if they are interested in pursuing a degree in one of these fields? Wilson: Well the great thing is that now we have included this beyond just physicians as you mentioned, but there are requirements around serving the CHIP and/or Medicaid populations and/or working in a state prison. So there are some certification requirements that you have to do, there is an application you have to fill out and at the end of each year in order to be eligible, you have to certify that you actually served that population and that you’ve met the other requirements. Kelly: And we are going to be posting a link to information from the college coordinating board on our website, but what are some of the deadlines for people who would be applying for this for some of their graduate education? Wilson: So what we’ve heard from the higher education coordinating board is that the applications will be available around February  and that they will probably be due around April 30. So there is a specific website that links to this as you have mentioned and those dates are a little flexible but obviously beginning February  you should start looking for them. Kelly: And as we talk to different advocacy groups around our area, how important is this to get the message out about our workforce for behavioral health? Kelly: Staci, thank you so much for joining us. So, now here’s our deliverable. You will find a link to the Texas Higher Education Coordinating Board’s application for this program here. Now, we need you, the loyal listeners and mental health care advocates, to help get the message out by forwarding this information on to a number of audiences that need to hear it. People we are targeting including undergraduate students looking to pursue a degree in one of the above-mentioned fields, current students already pursuing a graduate degree, college faculty or administrators, or anyone else who cares about access to mental health services. Forward this message or cut and paste the URL for this blog to help us share this information. Our goal is to have as many people as possible help us spread the word about this new program. Texas deserves a workforce to help treat people suffering from a mental illness, and by getting the word out, you are doing your part to help make that happen. Just as one of the newest mental health programs is rolling out, the Legislative focus is starting to heat up. On January 26th, the Senate Finance Committee, the budget crafting body for the upper chamber in the Texas Legislature, met to discuss two primary budget issues. Texas Comptroller Glenn Hegar on Tuesday faced some skepticism as he sought to soothe lawmakers’ fears about what plummeting oil prices mean for the state’s bottom line. “Is the sky falling?” asked Sen. Royce West, D-Dallas, at a hearing of the Senate Committee on Finance, which helps write the state budget. “No, sir,” Hegar replied, adding that while there are “clouds on the horizon,” he’d rather be in Texas than in any other state. “I just don’t want to live in a state of denial,” West responded. Though Hegar has noted that oil’s plunge means Texas will send hundreds of millions fewer dollars toward road construction and maintenance than originally expected, the drilling slowdown should not leave lawmakers with a revenue shortfall, he said. In fact, much of the certified revenue estimate Hegar released in October has stayed accurate — even though it was based on significantly higher oil prices — because producers are pumping more oil than anyone expected, Hegar said. “The budget you passed – it works, and it will continue to work,” Hegar said, noting that lawmakers also left a significant cushion of unallocated funds. That wiggle room totals about $4 billion, said Ursula Parks, director of the Legislative Budget Board. There’s the number: a current $4 billion surplus of unspent funds available for the 2016-2017 session. Hegar’s assessment that despite the fall in oil prices that “the sky is not falling” is a very insightful remark. Especially in view of the second number. According to testimony given by Comptroller Hegar on January 26th, the state has $9.6 billion in the Economic Stabilization Fund, commonly referred to as the state’s “Rainy Day Fund.” Given that the two-year total, or biennium budget, for the state was set at $209.4 billion, having almost $10 billion in the bank is a good position to be in, but should Texas not be spending some of that on needed programs? Given the state’s other pressing budgetary priorities— particularly the need for improved water and transportation infrastructure and a desire to reduce the state’s total amount of outstanding debt—Texas lawmakers have been divided over whether the current level of reserves is sufficient or excessive. As revenue and spending pressures shift along with the booms and busts of the economy, states stand to benefit from the additional flexibility provided by robust rainy day funds to smooth over unexpected bumps in the road. Despite having billions of dollars in its rainy day fund, Texas struggles to answer the question of how much is enough because the state lacks a clear consensus on why the fund exists in the first place. Absent a clear purpose for saving, other states also find it extremely difficult to set a meaningful savings target, which can confound their efforts to manage the budgetary ups and downs of economic activity. While the Legislature deals with those numbers, one thing is clear: there is no need to cut services, especially for newly expanded behavioral health access. The Comptroller was clear in his assessment, and we hope lawmakers continue their investments in better access and quality of services, no matter what the cost of a barrel of oil. The second part of the meeting, after all the media attention on oil prices left, was on behavioral health funding. Chair Jane Nelson was distressed about inaccurate news reports about how much Texas was spending on behavioral health. As followers of Minding Houston, you should know all of our numbers come from the Legislative Budget Board, the same body that testified before Senate Finance. A link to their presentation is below, and as someone who has worked for a member of the House Appropriations Committee, these are the numbers I use when looking at state expenditures. With everyone on the same page with regards to the numbers (again, minus Medicaid), the Finance Committee expressed concern regarding the ability to coordinate spending and break down silos among various state agencies. This is where Sonja Gaines steps in. As the Associate Commissioner for the Office of Mental Health Coordination for the Health & Human Services Commission, not only does she have a long job title, but a long list of programs to oversee and make work together. A good example of how programs are being integrated came from Sean Hanna, Director of the Military Veteran Peer Network. He testified that after meeting with Gaines, this agency had begun to better coordinate with existing state resources of the Texas State Guard. This has greatly expanded the network of mental health peers working with our state’s armed services by maximizing existing resources. The presentation notes that the statewide coordinating council should be developing a coordinated expenditure proposal for fiscal year 2017, and that as state budget writers, Chair Nelson will make sure any exceptional items match up within those plans. The Health and Human Services Commission will submit that proposal to the Legislative Budget Board on June 1st of 2016. Lastly, I wanted to mention that the new House Select Committee on Mental Health will be holding their first hearing on February 18th. We are looking forward to seeing what direction Chairman Four Price of Amarillo takes in the initial hearing. As a quick reminder, our Harris County members on this committee include Representatives Senfronia Thompson, Garnet Coleman, and Sarah Davis. As the Legislature starts to dig into policy and resources, be sure to stay tuned to Minding Houston for the latest information on how mental health policy discussions translate to better access and services in Houston. Last week we talked about the consequences about not investing in mental health. It makes sense to ask: So who are the investors? Or more accurately, who is making the decisions about how and how much our state spends on mental health care? It turns out, for those of us in Greater Houston, we have Legislators in positions of leadership in the Texas House and Senate. In this episode, we look at the Legislators in position to make the financial decisions we will be watching in 2015. There is always a lot of focus on the “Big 3” of Texas Government. The Governor, the Lt. Governor, and the Speaker of the House get most of the press when it comes to big legislative initiatives. However it is the individual legislators who make up the committees who play a very large role in determining which areas of the budget are funded and which policy are passed. Greater Houston is very fortunate to have a number of our elected officials in well placed position to affect what the Legislature does for mental health. To start off, newly appointed House Appropriations Chair John Otto now holds one of the most powerful positions in the entire Legislature. Elected to Represent Dayton, Texas in House District 18, the heart of his district is only 35 miles from downtown Houston. Rep. Otto is the first CPA to ever head the budget writing committee and clearly wants to let the numbers do the talking. 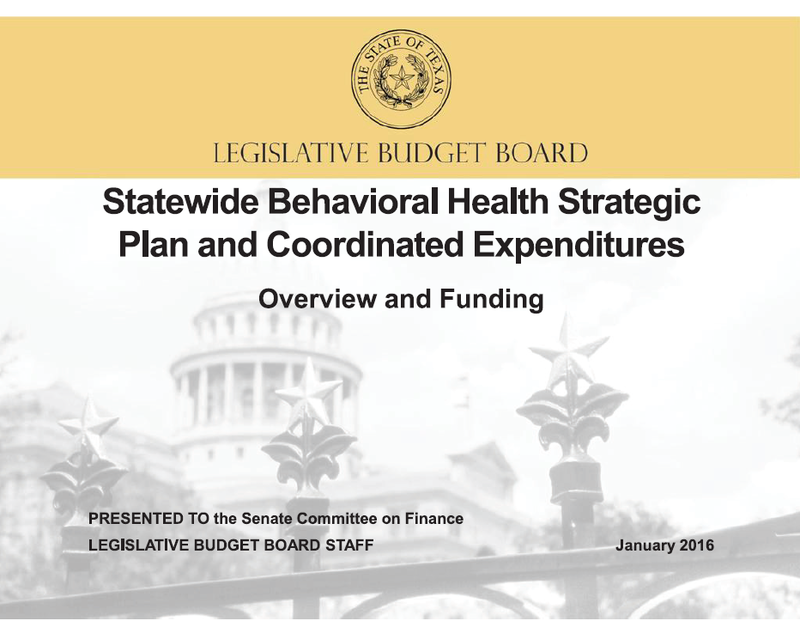 When laying out the budget to the new members of the Appropriations Committee, Chairman Otto had the Legislative Budget Board feature mental health funding during the Overview on House Bill 1. Below, you can see the slides lawmakers were looking at detailing where House Bill 1, first one showing how mental health services are funded across 17 state agencies. The next slide deals specifically deals with the mental health and substance abuse funding in the Department of State Health Services. Chairman Otto can choose whatever portion of the budget he would like to present when it comes to these overview hearings. The fact he included mental health funding shows his own focus on the issues and will hopefully resonate with members of his committee. Sitting beside Chairman Otto is the Vice Chair of the Appropriations Committee Sylvester Turner. 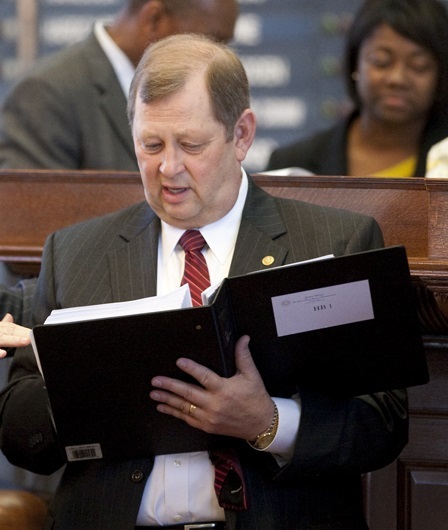 Rep. Turner is a 25 year house veteran and is regarded as one of the most knowledgeable members of the Legislature when it comes to the Appropriations Process. During the testimony from staff with the Legislative Budget Board, Rep. Turner noticed that the base funding in House Bill 1 is predicted to generate a waiting list of over 900 adults statewide for mental health services. Remember from our previous blog entries how Harris County is very much affected when the state is unable to serve those on the waiting list, having almost 30% of the wait list before services were funded in the last session. Last week, subcommittees were named so that the 27 member House Appropriations Committee could focus closely on specific topic areas, often called Articles, in the budget. The Subcommittee for Health and Human Services that makes up Article II of the budget contains some very familiar faces for Harris County. Rep. Sarah Davis returns to this committee for her second straight session. Last session, she oversaw the Department of State Health Services budget that increased funding for behavioral health services by over $300 million. Rep. Davis represents the Texas Medical Center and has many constituents that work in health related fields. I spoke with her in Austin at a Subcommittee meeting on Wednesday. Joining her is Rep. Armando Walle who will be serving on the Appropriations Committee for the 1st time since being elected in 2008. Rep. Walle meet with MHA in our offices during the interim to discuss state mental health policy and understands the needs of his district in getting access to services. Over on the Senate side of the building, we have a number of Legislators from Harris County looking to use their experience to help shape policy as members of the Senate Finance Committee. First, we previously mentioned Senator John Whitmire’s service as Chair of the Criminal Justice Committee. 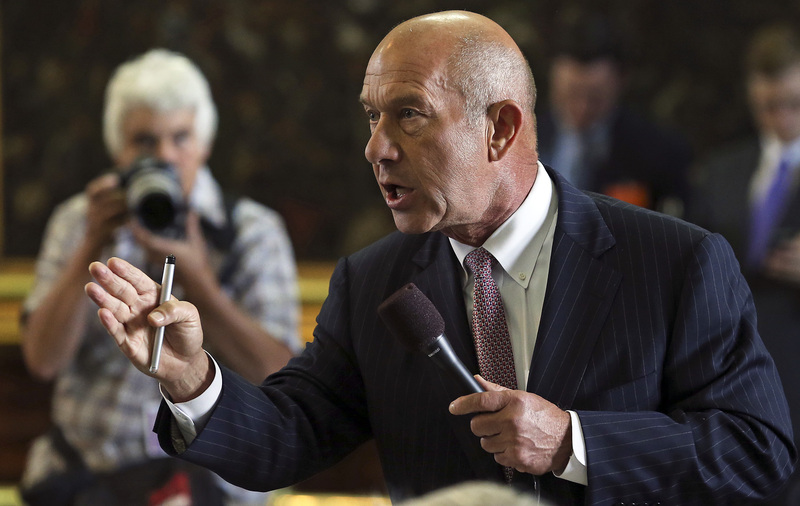 Known as “The Dean” as the longest serving State Senator, Whitmire has represented Harris County in the Senate since 1982. His experience will be key in securing the needed funding for community based programs. Senator Joan Huffman has a background as a prosecutor and as Vice Chair of the Criminal Justice Committee and as Chair of the Senate State Affairs Committee. Last session, she authored SB 1185 with Senator Whitmire to create the Harris County Mental Health Jail Diversion Program. During the October 2014 Texas Tribune Tribfest panel entitled “What’s Next for Mental Health?”, Senator Huffman talked about how she was able to work with her colleagues, including Finance Chair Jane Nelson, about providing more resources for mental health. Senator Larry Taylor serves not only on the Senate Finance Committee but chairs the Senate Public Education Committee. Senator Taylor will be a key player in seeing mental health funding, such as Mental Health First Aide, is distributed to educators across the state. Last session, $5 million was allocated to train educators in Mental Health First Aide, and 8 hour program that teaches how to help people developing a mental illness or in crisis. In Harris County alone, that means 400 teachers trained in Mental Health First Aide. Freshman Senator Paul Bettencourt is serving his first term in the Texas Senate, taking over the seat previously held by Lt. Governor Dan Patrick. Senator Bettencourt has meet with our office and from his seats on the Senate Public Education and Higher Education Committees has a very unique position to help with mental health initiatives, especially the mental health loan assistant repayment program in SB 239. This impressive lineup has a difficult task in front of it in securing the needed resources for mental health. They will need to hear from people across Texas to make sure that mental health isn’t ignored or pushed to the side. So when and how are people reaching out to thank, educate, and persuade legislators? More on that, next time. This is Minding Houston. I’m Bill Kelly. Thank you to the Texas Tribune. To listen to the complete “What’s Next for Mental Health?” panel, visit their Soundcloud. We’ve talked about funding and workforce needs for mental health services. So why is it so important that Texas lawmakers prioritize mental health services in view of all the other needs in the state? Well, my argument would be we are already paying for these mental health services, in a much more costly and difficult way: the criminal justice system. Before we start this, I have a caveat I’d like to place on the connection between mental health and criminal justice. Way too often, we closely associate the two and it sometimes seems that having a mental health condition makes you a criminal or a risk to society. Let me be very clear: the only thing criminal about mental illness is the way we have failed to invest in access for treatment. With that, let’s get back to how mental health and criminal justice are connected. Far too often, this failure to invest in access has lead to individuals entering the criminal justice system, instead of the public health programs. This leaves jails and prisons becoming the safety net for Texans suffering from a mental illness. The statistics clearly bear this out. Individuals with untreated mental health and substance use disorders at 8 times more likely to be incarcerated, often due to the lack of access to appropriate crisis services and ongoing care. Sheriff: I completely agree and look, I take pride in a lot of things being Sheriff of Harris County, but the one I don’t take pride in is the fact that the Harris County jail system is often referred to as the largest psychiatric facility in the state of Texas. And look, we don’t want people in the county jail for being sick. We want them there for having committed some terrible crime, but we don’t want them there because they are sick and that it is there illness that principally drives them to come to the attention of local law enforcement. And so we need the state to be responsible about this issue, responsible about the care that these individuals need and provide the citizens of Texas a better way to respond to those challenges that some families inadvertently are confronting. Sheriff: Approximately 30%. I mean, just as Bill mentioned that number is very accurate. It’s about 30% of my population at any given time and you have to recognize the significance of the fact that it’s been 30% regardless of when I was overcrowded and at 12,000 – nearly 12,000 capacity or right now when I’m not overcrowded it’s still 30%. And again, they’re there principally because they are sick, not because they are bad people. 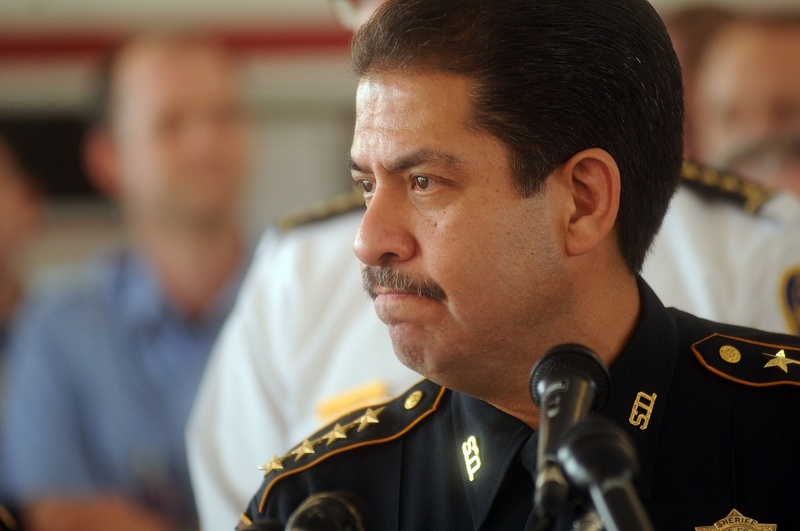 Now, Sheriff Garcia sees the consequences of a lack of access. Another elected leader who has dealt with the state’s criminal justice system is long time Texas Senate Criminal Justice Chair Senator John Whitmire. He clearly draws the line between the lack of access for the population to mental health care and prison. According to the Department of Criminal Justice, roughly one third of the people in the Texas prison system have some form of mental illness. Houston state Sen. John Whitmire chairs the Senate Criminal Justice Committee. He says those inmates end up in jail because they fell through the cracks and were not being treated for their illness. “Thirty-two-thousand have been identified, that were in a mental health program before they ever committed a crime. But because of the lack of community mental health services in this state, because of budget cuts at 2003, they do not get assistance when they’re having an episode or crying out for help,” said Whitmire. The re-entry program for these people doesn’t exist anywhere in the state, and Whitmire says that probably means a return to prison. “They don’t get their counseling. They don’t get their medication. They’re bipolar; they’re schizophrenic. They have an altercation with their family or a neighbor. Law enforcement is called, then they have an altercation with law enforcement. Welcome to the criminal justice system,” said Whitmire. With these statistics and testimonials, I think we can all agree about the problem facing those with mental illness and the unfortunate burden on the criminal justice system in providing care. So how do we make treatment more available and accessible so jails aren’t the largest providers of mental health services? Harris County has an idea: let’s keep patients out of jail. Last Session, Senate Bill 1185 created the Harris County Mental Health Jail Diversion program. With bipartisan support from Senators John Whitmire and Joan Huffman, County Judge Ed Emmett pushed the Legislature to match Harris County’s investment to establish a system to address individuals suffering from a mental illness that cycled in and out of the Harris County Jail. SB 1185 looks to concentrate resources and coordinate social services so that patients get the care they need outside of jail cell. The Harris County Mental Health Jail Diversion program is the product of legislation passed by Texas lawmakers last year, that provided $5-million dollars for the launch. Director Reginia Hicks says some goals of the program include the reduction of the frequency of arrests, incarcerations and the number of days spent in jail, to increase access to housing, health and social services, and to improve the quality of life. “We have a special mental health program within our jails. We have specialty courts with judges that are focusing on behavioral health issues,” said Hicks. “We have providers with many years of experience. After the official launch, Harris County Judge Ed Emmett said he felt confident the Mental Health Jail Diversion program will serve as the model for other cities to emulate. Harris County has adopted some strong programs. Teams of police officers and mental health professionals partner on targeted calls to help ensure that people with mental illness are not arrested unnecessarily. Through its pilot jail-diversion program, judges work with these professionals to keep those with mental illness from cycling through the criminal justice system. Harris County is the most populous region in the state. One in 5 people, or 350,000 adults residing in Harris County, will suffer from mental illness during their lifetime, according to Harris County Psychiatric Center. The Legislature should act next session to expand the capacity of the mental health system and give us more beds for patients in Harris County, preferably in a modern facility closer to home. Given the strong support from our local elected leaders about the need for resources to expand capacity, who are our state leaders making these decisions? As of last week, both the Texas House and Senate have named committee chairs. 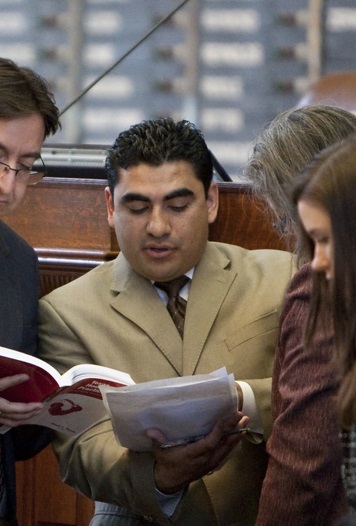 What do those positions mean for mental health policy in Texas? More on that, next time. 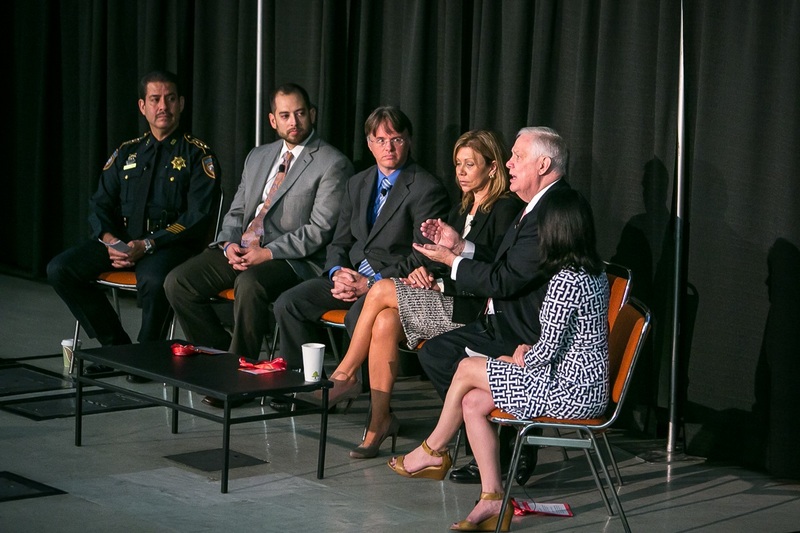 This is Minding Houston, a presentation of Mental Health America of Greater Houston. I’m Bill Kelly. Music from this episode: “Please Listen Carefully” by Jahzzar, “The War of the Sun Fist” by Gasc@t, “Impact Prelude” by Kevin MacLeod, “Manhattan Skyline” by DeeTunez , and “I’m Fine, Dear” by Dexter Britain. 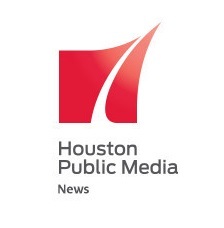 To listen to the full interviews and news sampled in this program visit Houston Matters, Houston Public Media and the Houston Chronicle. And a very special thank you to Cody McGaughey for lending your voice to this episode. With the 1115 Waiver making investments in behavioral health services throughout the state, and especially here in Greater Houston, it’s natural to ask the question about the professionals needed to staff these new programs. And we don’t just mean psychiatrists, but the full spectrum of mental healthcare positions, just like those masters degree clinicians from MHMRA riding along with police officers for our CIRT units. In this episode, we’ll look at the best data to describe the mental health workforce shortage that should catch everyone’s attention, especially our lawmakers. The cost of mental illness does not simply disappear when service providers are not available. Instead, these costs transfer to other less effective, more expensive and unprepared environments, such as prisons and hospitals. Research and experience clearly show that the lack of sufficient mental health services often results in hospitalization, incarceration or homelessness, creating far greater economic and human costs. Supporting a strong system of mental health services isn’t just for the benefit of people with mental illness. Mental health and wellness are important to all Texans. Without a strong mental health system, communities suffer through lost productivity, unemployment, job absenteeism, increased involvement with law enforcement, and increased local hospital costs. Now, for anyone who cares about the bottom line in budgets, the quality of life for patients, and need for a healthy Texas, these consequences are simply unacceptable. Alright, so we know there is a problem, but how bad is it? The pool of mental health professionals is aging. In the coming decade, many psychiatrists, social workers and other providers will leave the workforce for retirement. These shortages are felt most acutely in rural and under served areas of Texas, such as the border region. Maggie Martin: Medicaid wasn’t the only issue or concern that was raised in this report and something maybe especially raised for Houston, being the home of the Texas Medical Center. What are some of the issues and concerns the task force found within the health care profession itself? The good news is the Legislature is paying attention. In fact, during the last legislative session in 2013, Republican Representative Cindy Burkett from North Texas, and Democratic Representative Carol Alvarado from Houston co-authored a bill calling for a study of the Texas Mental Health Workforce Shortage and possible solutions. At its core, the mental health workforce shortage is driven by factors that affect recruitment and retention of individual practioners. Chief among these factors, as studies and stakeholders suggest, is that the current payment system fails to provide adequate reimbursements for providers, especially in light of the extensive training necessary for practice. Furthermore, more students may be attracted to the mental health professions by strengthening graduate medical education and by exposing them to opportunities in the mental health field earlier in their education. Like a lot of public policy, it boils down to money. Our state has failed to invest in this area, and unless we start making a down payment for our mental health workforce, we will undoubtedly suffer the consequence that a lack of access brings. Bluebonnet officials say that a bill by health and human services committee chairman Charles Schwertner could elevate the prestige of the profession and help workers balance their desire to serve the mentally ill, make ends meet, and pay off their loans. Schwertner filed a bill Monday to create a grant program to repay loans for licensed professionals, social workers, psychiatrists and psychologists. 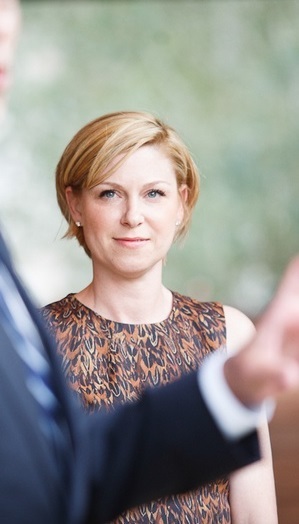 Andrea Richardson knows first-hand as the executive director of Bluebonnet she worked with Senator Schwertner, himself a practicing physician on developing the bill that creates a commitment from professionals seeking loan reimbursement. The percentage of the loan repayment grows with each year they work in the field. An integrated approach to addressing a growing need. Each of our incoming legislators will bring varied life experiences to the next session and its upcoming debates over spending and priorities. That’s certainly true of state Sen. Charles Schwertner, R-Georgetown. Schwertner, one of the few doctors in the Legislature, is not only an experienced orthopedic surgeon but also has some familiarity with mental health care. Schwertner’s mother spent over 25 years as a nurse in Texas’ mental health system. The state senator has a habit of saying that he knows firsthand what impact a dedicated mental health professional can have on the life of someone suffering from mental illness. The Legislature should make Schwertner’s mother proud and act to pass his bill, a good first step in heading off this growing crisis. So we’ve heard from the Hogg Foundation for Mental Health, the medical experts at Code Red, a workforce shortage study of House Bill 1023, and the newly filed mental health loan repayment bills and we hope our Legislators listen to Senator Schwertner’s mom. But what happens when we don’t listen? In this case, what happens when we fail to provide access for mental health services? Quite simply, we face the same health challenges but we face them in a criminal justice setting. More on that next time. From Minding Houston, I’m Bill Kelly. View the 2011 Hogg Report here and read Code Red: The Critical Condition of Health in Texas for detailed information about the Texas mental health workforce shortage. Listen to the full Houston Matters interview with Code Red’s task force chair and former state demographer Steve Murdock and hear more about Charles Schwertner’s loan reimbursement bid at the Texas Tribune website. What if I told you the State of Texas and the federal government are working together, on an $11.4 billion partnership to help increase access to care for Texans? There are no lawsuits, political posturing, or name calling. The program is praised by Republicans, Democrats, and every healthcare organization across the state. Sound impossible? Well, let me tell you: it’s all true. And when it comes to increasing behavioral health services, it’s even better. Today, we wanted to talk about the biggest expansion of behavioral health services in Texas. Ever heard of the 1115 Waiver? Well, if not, maybe it’s because it hasn’t generated the, let’s call it the “heat” that other federal initiatives have here in Texas. So first things first, what is the 1115 Waiver? Simply put, it is a 5 year agreement between the federal Center for Medicare & Medicaid Services, or CMS, and the Texas Health and Human Services Commission, or HHSC. Together, CMS and HHSC have negotiated a plan to combine state dollars spent on healthcare to draw down matching federal funds all in an effort to expand the footprint of healthcare services in Texas. So what does this really mean for us in Greater Houston? As it turns out, quite a lot. Over our nine county Regional Health Partnership (one of 20 organized throughout the state), we stand to gain over $2.3 billion dollars in expanded healthcare services. by the 1115 Waiver. First, in a report by Houston Public Media’s Carrie Feibel, is a look at Mental Health Crisis Clinics set up by Memorial Hermann. Now, as we’ve noted before, the lack of access to mental healthcare leaves an increasing number of cases to be handled by law enforcement. That’s where our second example, the Crisis Intervention Response Team comes in. In this story by KHOU reporter Jeff McShan, you can see first hand the difference having both a mental health professional and law enforcement training has in dealing with a mental health crisis. 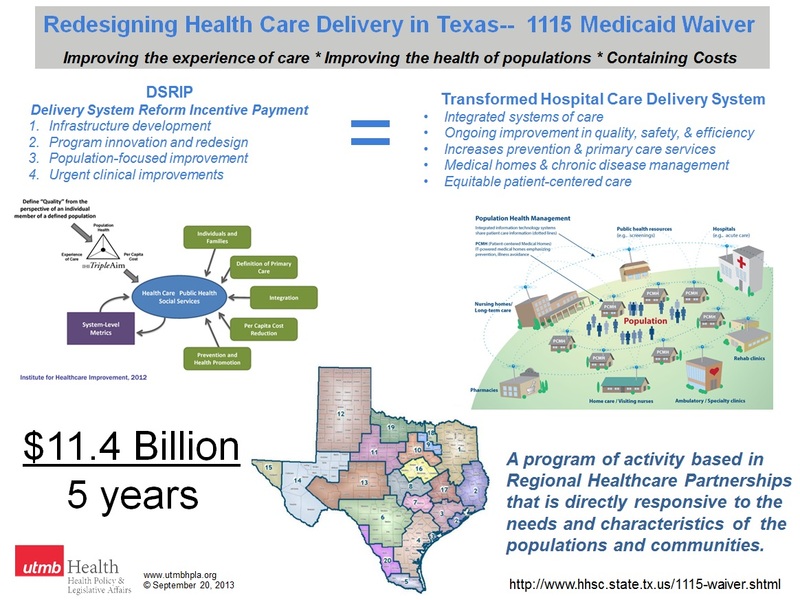 Both the Memorial Hermann mental health crisis clinics and three CIRT details are funded by the 1115 Waiver using Delivery System Reform Incentive Payments, or DSRIP funds. In our area, there are 55 projects specifically for Behavioral Health totaling $457 million dollars. Now, remember from last week, our state spends just over 1 billion a year in mental health services through DSHS for the entire state, and DSIRP dollars put almost half a billion right here in our own backyard. This badly needed expansion of access for mental healthcare represents a huge step forward for the State of Texas. But it also brings a number of challenges. Like, do we have enough of a workforce to staff this expansion? What is the mental health workforce shortage and what we can do about it? More on that, next time. 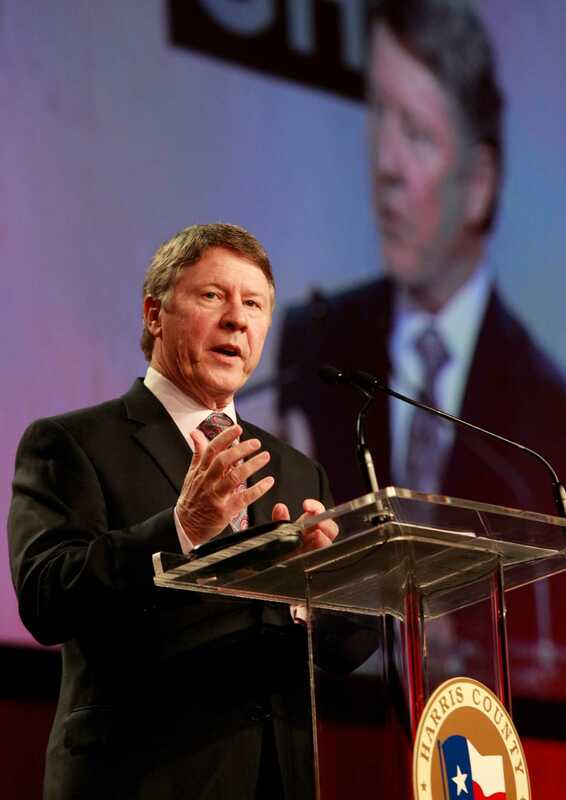 This is Bill Kelly for Minding Houston, a presentation of Mental Health America of Greater Houston. Music from this episode: “Rollin at 5 – 210” by Kevin MacLeod and “Sand Castle” by Pitx. To hear Carrie Fiebel’s full report about the Humble Crisis Center, listen here at Houston Public Media. To hear more about the HPD Crisis Intervention & Response Team (CIRT), watch here at KHOU.com.